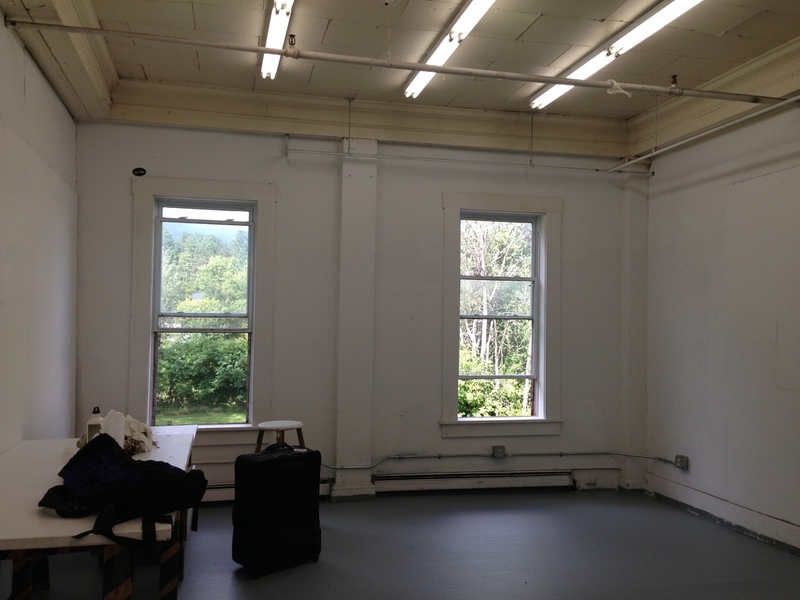 I have a fellowship at the Vermont Studio Center in Johnson, VT, for the month of August. Toby and I made it to Morrisville, a little town nearby, on Saturday night without too much mishap, though we did run out of gas about 40 miles out while we were listening to Game of Thrones. Yesterday, Sunday, was orientation. I'll be working in Barbara White building (above). Here's a photo of the interior of my studio and the view from the windows.